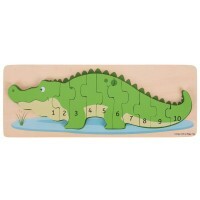 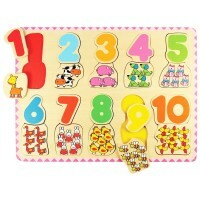 Learn the lowercase letters and play with 26 chunky puzzle pieces as you put together this Bigjigs' wooden puzzle. 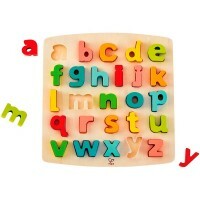 Learning the alphabet and how to spell need not be daunting with the help of this Bigjigs' brightly colored wooden puzzle. 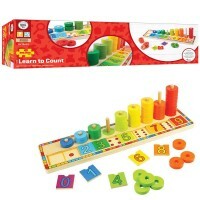 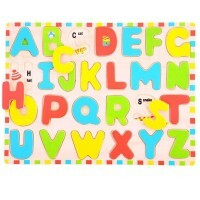 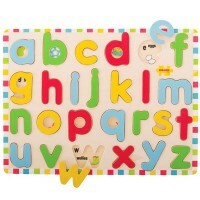 Each individual letter is color coordinated with its base slot to help develop recall and recognition skills. 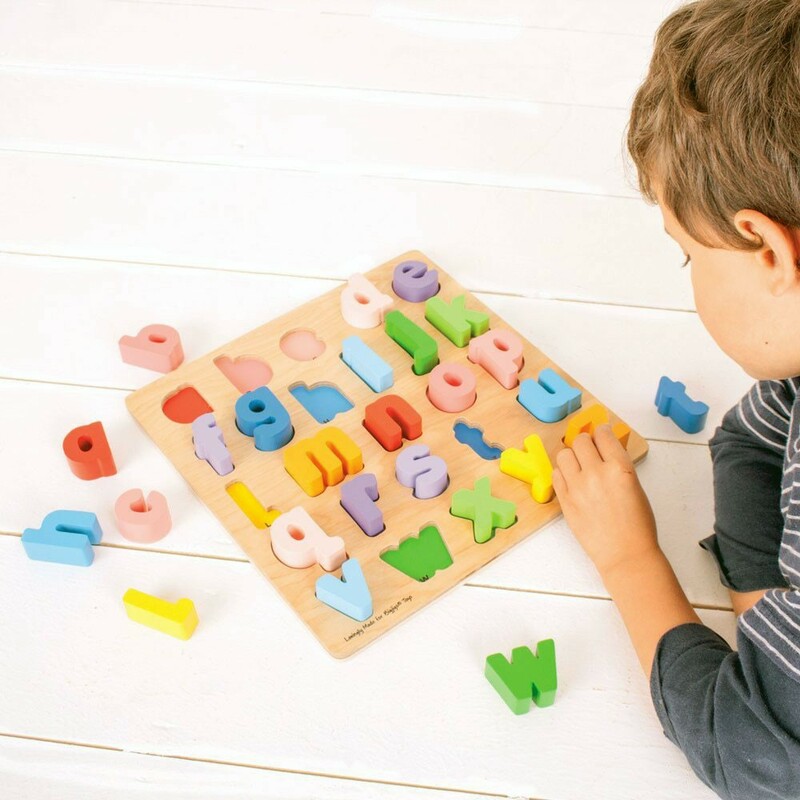 Each chunky wooden puzzle piece of this Chunky Alphabet Lowercase Letters Wooden Puzzle is generously sized to make it easier for little hands to lift, grasp, examine and replace. 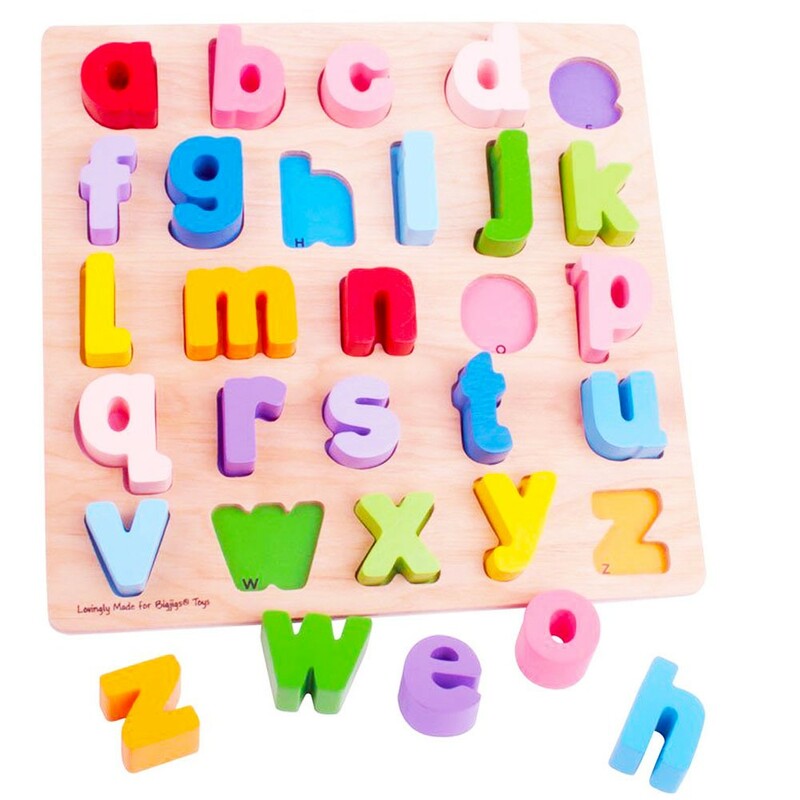 Made from high quality, responsibly sourced materials, this Educational Toys Planet's 26 pc lowercase alphabet puzzle conforms to current ASTM and CPSIA safety standards. 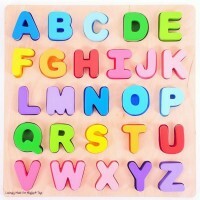 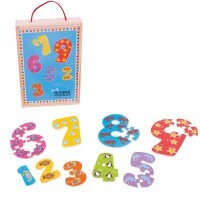 Dimensions of package 11" x 11" x 1.5"
Write your own review of Chunky Alphabet Lowercase Letters Wooden Puzzle.